At Boxer we have a range of customers with sheet metal forming machinery requirements. One of our key aims is to design and produce rollforming machinery, custom-made to our customers’ needs. One of the latest orders to have left our workshop is this rollforming machine (pictured). 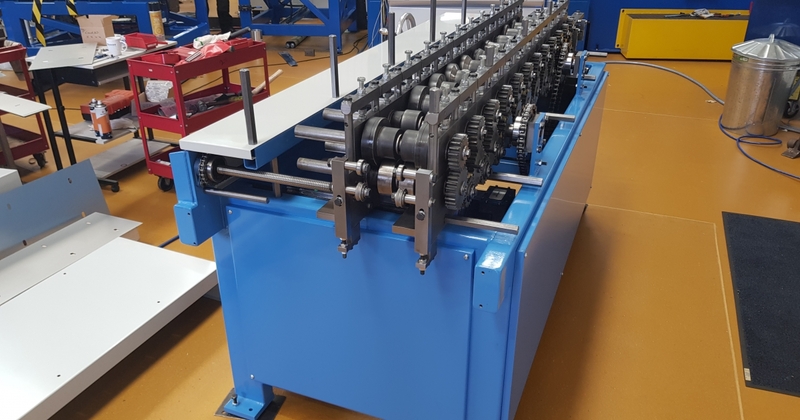 This machine is capable of forming both edges of the ‘Frame Extension’ profile with internal widths from 85 to 250mm, from hand-fed blanks of 1.2mm thick zinc coated mild steel, in lengths down to 300mm.